The tables and graphs come from the APB files at the closure of the 2016 applications campaign on the Post-Bac Admissions web portal. A total of 762,600 candidates entering at least one preference were registered in the 2016 APB, including 585,700 pupils in the final year of secondary school sitting the baccalauréat. Of these, we have identified 533,600 successful baccalauréat candidates and this note relates exclusively to them. The PACES (common first year of medical studies) are grouped with the university places. Admissions Post-Bac (APB) centralises course choices in higher education. The application procedure concerns students in the final year of secondary school, first-year students under 26 who want to change course and some foreign students depending on their nationality, secondary school diploma and requested course. The candidates enter their preferences from the month of March, then rank them according to preference. A preference is characterised by a course in a specific institution. The 'normal' admission phases in the normal procedure take place between June and mid-July and are followed by an additional admission procedure which continues until early September. The university faculties, Advanced technician's sections (including agricultural), classes preparing for admission to Grandes Ecoles, engineering schools, business schools in some networks, some business schools and some architecture and art schools, and some CFA (Apprenticeship Training Centres) are some of the possibilities offered to students on the APB. By contrast, the IEP (Institute of Political Studies), Paris Dauphine, private courses and nursing schools are not offered on the APB (preparation for paramedical and social courses are offered, however). Since 2013, the IEP have adapted the timetable of their competitive examination to the APB timetable to enable students who fail to apply via the APB. In 2016, 533,600 candidates used the Post-Bac Admission portal (APB) to continue their studies. On average, they entered 7.6 preferences. 87% of candidates received an offer through the normal procedure, of which nearly two-thirds received their first or second preference. The new baccalauréat holders entered 7.6 preferences on average. Candidates in the general series entered more preferences than those preparing a vocational baccalauréat (8.4 preferences on average against 5.0). When the first preference entered by the new baccalauréat holders is considered (chart 08.01), over half the future general baccalauréat holders requested a first year at university (including a common first year for medical studies), 14% requested an IUT (university technology institute), 14% a CPGE (classes preparing for admission to Grande Ecoles) and 7% an STS (advanced technician’s section). Nearly half the future technological baccalauréat holder candidates requested an STS, 21% an IUT and 18% a first year at university. Finally, eight out of ten future vocational baccalauréat holders wishing to continue in higher education requested an STS, 10% a university and 4% an IUT. The preferences differ according to the general baccalauréat sectors. 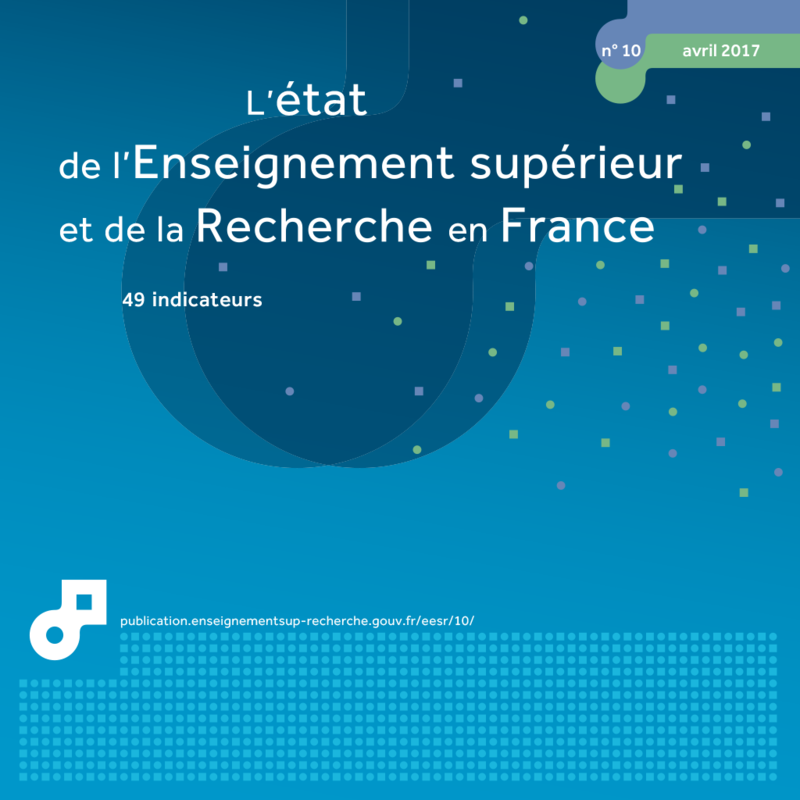 Only 46% of candidates for the scientific baccalauréat wished to continue their studies at university and 5% at an STS, whereas 19% wished to enter CPGE and 13% an IUT. By contrast, seven future literary baccalauréat holders out of ten opted for university as first preference, but only 9% for a CPGE, 8% for an STS and 5% for an IUT. Baccalauréat holders following an economic and social path were more interested than literary candidates in enrolling in an IUT (20%) and an STS (10%) and 53% of them sought a university place. At the end of the normal procedure, 87% of students in the final year of secondary school were offered a place, with 57% granted their first preference. This proportion rose by two points over the previous campaign and could relate to the introduction of grouped preferences for certain degree grades (the preferences group a set of universities in the same académie). More than nine out of ten general education candidates and more than eight out of ten technological candidates received an offer, compared with slightly more than six out of ten vocational candidates. (chart 08.02). 86% of candidates in the final year of secondary school requesting a first year at university were granted their first preference (+2 points). It was rarer to achieve the first preference in selective fields of education; only 41% of pupils requesting a DUT (+2 points), 40% of those requesting an STS (+3 points) and 37% requesting a CPGE obtained their first preference. 64% of general baccalauréat holders receiving an offer through the normal procedure obtained their first preference (chart 08.03), but this proportion drops to 35% when those seeking a place in CPGE are considered. Although one in two technological baccalauréat holders obtained their first preference, only 41% obtained their first preference for an IUT (+6 points over the 2015 campaign) and 45% for an STS (+3 points). Finally, only 38% of vocational baccalauréat holders obtained their first preference (+ two points), of which 35% requested an STS (+3 points) and 17% requested an IUT (-2 points). 29% of vocational baccalauréat holders with a "Pass" grade at baccalauréat received an offer from their first preference (table 08.04), but 65% who got a "Distinction" (56% for "Merit") in the baccalauréat obtained their number 1 preference. Similarly, 82% of technological baccalauréat holders with "Distinction" were granted their first preference (-4 points). 1 including successful baccalauréat candidates who, having withdrawn from APB, have not returned during the additional procedure. 64% of pupils in general final year of secondary school who received an offer under normal procedure received an offer for their first preference. 40,5 % of technological Bac candidates who obtained a "Pass" grade received an offer from their first choice. This was the case for 81.9 % of technological Bac candidates who received a "Distinction" in the Baccalaureate. This summary note presents a range of indicators concerning higher education course choices for the academic year 2016-17. It is accompanied by publication of these indicators, broken down in more detail or cross-matched by gender, local education academy, baccalauréat series and, where appropriate, subject reference. Students preparing for the baccalauréat and enrolled on the Post-Bac Admission Portal (APB) for the 2016 session submitted an average of 7.6 preferences. 38.2% of candidates requested a Bachelor's degree programme as first choice. In several of the requested Bachelor's degree preferences, the number of women reached extreme proportions (91.4% in Linguistics, 10.3% in Computer Science). For literary series candidates, the proportion of women exceeded 70%. Nearly one student in five in the final year of secondary school taking the scientific series (17.9%) requested classes preparing for admission to Grandes Ecoles (CPGE) as first choice. Students preparing for a vocational baccalauréat (80.5%), but also to a lesser extent technological series candidates (49.4%), put Advanced technician's sections (STS) as first choice. The subsequent choices were often the same as the course chosen in first place.